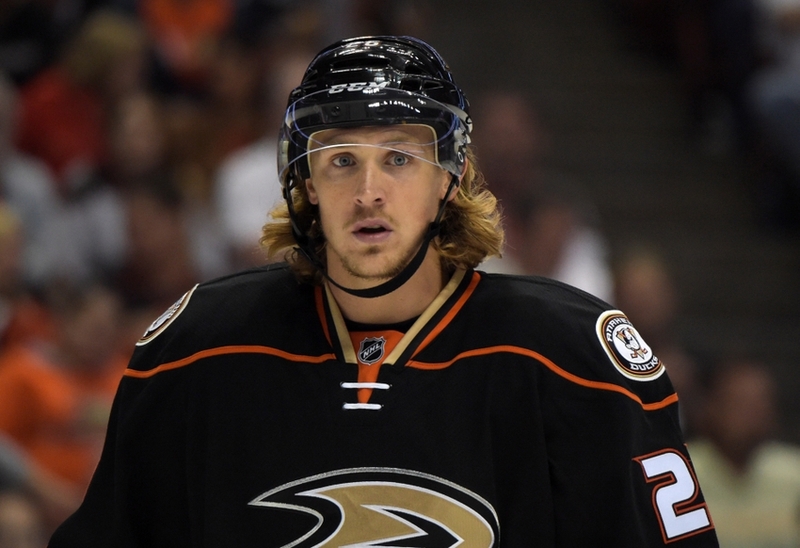 The Anaheim Ducks traded forward Carl Hagelin to the Pittsburgh Penguins in exchange for forward David Perron and defenseman Adam Clendening. Hagelin signed a four-year, $16 million extension with the Ducks after being traded by the New York Rangers last summer. The Rangers acquired a second-round pick and forward Emerson Etem in the deal; Etem has since been traded to Vancouver. Hagelin spent all four seasons of his NHL career with the Rangers before being traded to Anaheim. 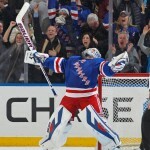 In four seasons with the Rangers, Hagelin scored 130 points in 266 regular-season games. Hagelin has always elevated his play in the postseason, most recently scoring the series-clinching overtime goal against, ironically, the Penguins. As evidenced in this video clip (1:46), Hagelin and Penguins forward Patric Hornqvist are good friends. The two Swedes even train together in the offseason. But Hornqvist isn’t the only person excited for Hagelin’s arrival. Though he struggled to find offense during the first half of this season (he scored 12 points in 43 games with the Ducks), Hagelin is known for his speed, which makes him a great fit for Penguins head coach Mike Sullivan’s up-tempo system. It’s clear that Sullivan’s comments are genuine, as Hagelin has already been given a top-six role. He plays on the team’s second line with Evgeni Malkin and Phil Kessel. He will also play a large role on the team’s penalty kill, as he has been an exceptional PK specialist throughout his career. Hagelin already has his first point as a Penguin, an assist in the Penguins’ 5-2 loss to the Blues Monday night. Hagelin has one point, a plus-one rating, two penalty minutes and seven shots in two games with Pittsburgh. David Perron played the first six years of his career with the St. Louis Blues; he has since played for the Oilers and Penguins, and he now joins a Ducks team desperate for offense. Perron was traded by the Oilers to Pittsburgh last season in exchange for a first-round pick and forward Rob Klinkhammer. Perron has 313 points in 543 career NHL games. He had 16 points in 43 games with the Penguins this season. Defenseman Adam Clendening had one assist and a plus-three rating in nine games with the Penguins this season. Anaheim is missing defensemen Cam Fowler (knee) and Simon Despres (concussion), so Clendening should be able to step in and help stabilize the Ducks’ defense, at least on a temporary basis. However, by no means is Clendening a proven NHL defenseman, as he has only played 30 NHL games in his career. He can help stop the bleeding for now, though. On the surface, this deal seems like a salary dump by the Ducks. It’s fair to say that Hagelin hasn’t had a good season in Anaheim, even if that is also true of every other player on the roster. The Ducks clear up cap space with this move; Perron’s $3.8 cap hit will be off the books next season as he is due to be an unrestricted free agent. 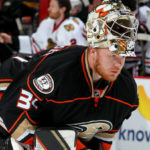 Anaheim will have more freedom to make further adjustments to the lineup this season and moving forward. It is highly unlikely that the Ducks are finished making moves this year. However, even if Hagelin hasn’t produced as many points as expected, there are underlying issues with the Ducks’ roster and system that are as much to blame, if not more, as Hagelin for his inconsistent play and lack of production. 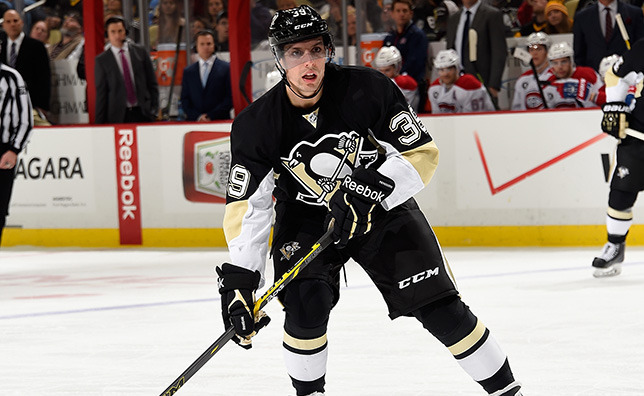 Perron is a streaky forward who brings a lot to the table when he is on a hot streak. But streaky players are, by definition, inconsistent, and you can’t win games and make a playoff push by counting on an inconsistent player. 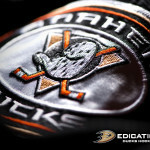 Interestingly enough, Perron scored in his first game with the Ducks. However, this doesn’t mean that Perron will be enough to help this team reach the next level. The timing of the move is somewhat surprising considering Hagelin was starting to get things going offensively; he had four points in four games before the move was made. What the Ducks really need is someone who can step up in the playoffs, not a streaky forward who may or may not “get hot.” This seems like a very short-sighted move that doesn’t really address any of the problems Anaheim has been dealing with so far this season. On the flip side, it is a fantastic deal for the Penguins. Hagelin is one of the fastest players in the league and is a very underrated and versatile player. His work ethic and determination will bring a lot of energy and life to this fading Pittsburgh squad. At the end of the day, there is still plenty of room for improvement on both teams. It will certainly be interesting to see how these players perform on their new teams, as well as what else might be in store for Anaheim and Pittsburgh.